How is Empire K-9 different from other dog training companies? At Empire K-9, Inc we guarantee success. Our certified dog trainer will work individually with your dog to make sure that we meet your goals. Unlike other companies, we can customize our services to best suit your schedule, your goals and your family. Training dogs is our profession not our hobby. Our history and reputation is one of a kind and we are more like a family than a business. What are the differences between in-board training and in-home training? With in-board training, your dog will set up camp with us on site. In-home training involves a trainer coming to your home to work with your dog. Both programs are a great solution for meeting your obedience goals. Deciding between the two services is a matter of looking at your needs, your dog’s needs as well as the needs of your family. If you have a busy schedule, it might be easier to let us handle the training at our site. If, however, your dog is nervous in unfamiliar settings or if you have the flexibility to attend trainings at home, it might be best for us to come to you. How old does my dog have to be to enroll in training? How far do you travel to provide your services? We operate within a 15 mile radius of Nassau, NY but travel beyond for additional fee of $2.00/ per mile to the destination. What happens if my dog has not met all of its goals by the time training has completed? When we agree on a strategic timeline and plan, it is our goal to be as realistic as possible. Thus, if your dog has not met all of the goals but the time the training has completed, we will continue to train your dog at no extra cost. Each dog is different and can be unpredictable at times. We want you to feel comfortable with the results. 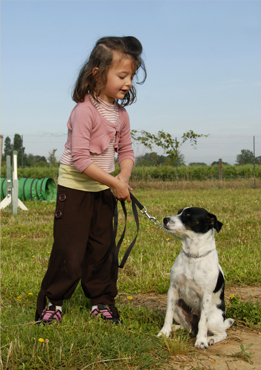 By guaranteeing success, we take the guess work out of dog training. Once I place a deposit, can I cancel or request a refund? Deposits are non-refundable. Once you place a deposit we will reserve a spot for your dog in the month specified. If an emergency or unforeseen event occurs and your dog will not be able to attend the reserved date, we can transfer the deposit to the next available month however we do require 30 days notice. Yes. We are a fully insured and registered business. What is the minimum amount to reserve a training spot for boot camp or puppy camp? A 50% deposit is required to hold or reserve a spot in any of the in-board training programs. We do not reserve or hold a spot until payment is received. The remaining balance is due when you return to pick up your dog at graduation. We accept cash, check, and all major credit / debit cards excluding American Express and Discover. What if my training date is cancelled by Empire K-9 Inc.? In the event we have to cancel a program start date, you will be notified and given the option to accept the new start date or choose from one of the next upcoming start dates. Deposits are non-refundable. What if I need my dog to arrive a few days before camp starts, or stay a few days after? Dogs are welcome to arrive before or after training camp however a boarding fee per/night will apply. What if my dog needs to be groomed or taken to the vet in the middle of training camp? If your dog has special needs we can accommodate. We charge a trip fee of .50 cents / per mile to and from the destination. Any fees incurred during training above and beyond the tuition fee will be due at the time of pick-up. Do I receive any follow up training after graduation? Yes. Post course completion of boot camp, puppy camp, you receive two private handler sessions. These sessions do not expire and they can be scheduled during a weekday or weekend, morning or afternoon. We do require 24 hours notice for cancellation of a handler session or it will be counted as one of the complimentary sessions. What if you cannot train my dog or my dog is ejected from training camp? It is VERY rare that a dog is not deemed suitable for the program however if a dog is refused or ejected from the program, your deposit will be refunded less the amount of days it has been in training. What if I decide to remove my dog from training before graduation? At any time you can choose to remove your dog from training however the training fee and any other fees incurred will be due in full. Your dog will not be listed as a graduate and no certificate of course completion will be issued. What is needed to confirm my dog’s immunizations are current? We need vet records confirming your dog has received the distemper combination, rabies, and bordetella (kennel cough) shots. If you do not have these records, they can easily be obtained by contacting your vet. Why should I choose Empire K-9 Inc.? Extensive certifications and experience backed up by our guarantee, why not?